Supreme Giant Carrots are tasty, crunchy treats made from real carrots. Each treat is made in the Supreme bakery and is of human-grade. Wheat flour, oats, vegetable oil, carrots (min 3%), sugar, permitted colours. 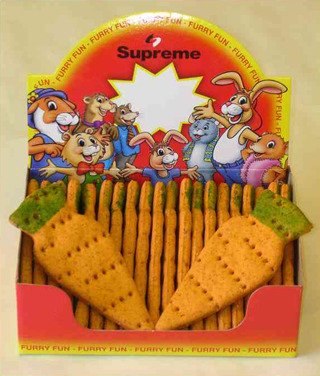 There are currently no questions for Supreme Giant Carrots Small Animal Treats - be the first to ask one!